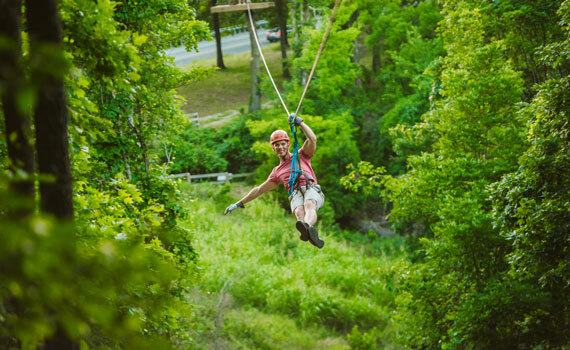 Enjoy the beauty of the Ozark terrain as you soar from tree to tree on the all-new Zipline Canopy Tour at The Shepherd of the Hills. 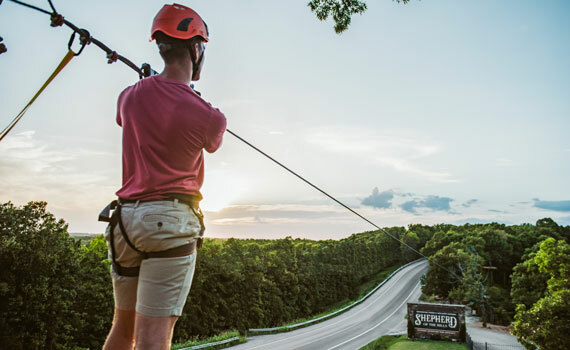 Guests will experience breathtaking views and thrills as they zip their way across the horizon from unique tree-suspended platforms. 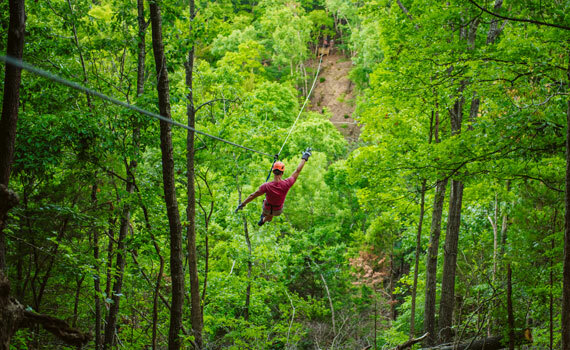 Zip-able hours are 10am, 12pm and 2pm 7 days a week in March and Wednesday through Sunday beginning April through December. Reservations are required. Please arrive and present voucher at the Inspiration Tower 30 minutes prior to schedule time. 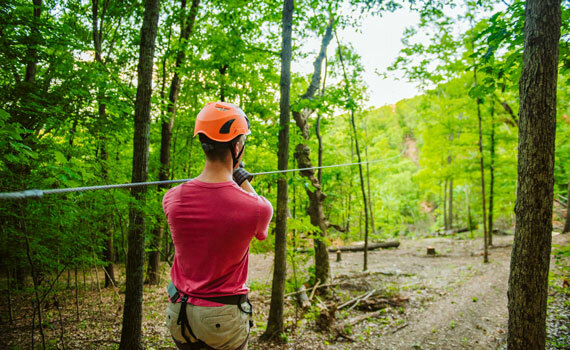 The tours leave promptly at their schedule time and Zipline participants must sign waivers and receive safety instructions. 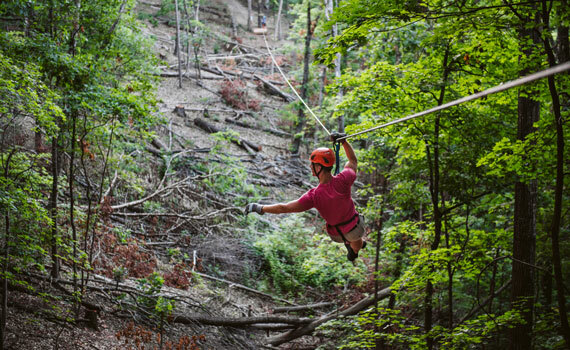 Children must be at least 4 years old and be able to understand and implement safety instructions given by the Zipline Guide. 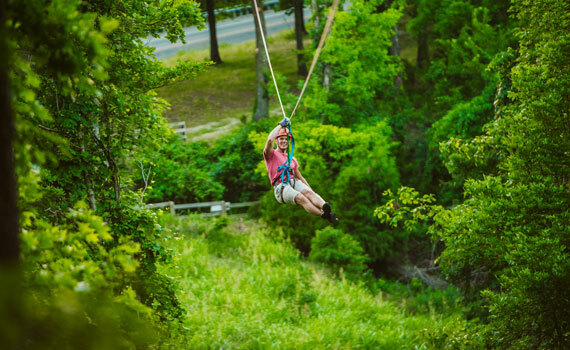 There is a 250lb weight limit. 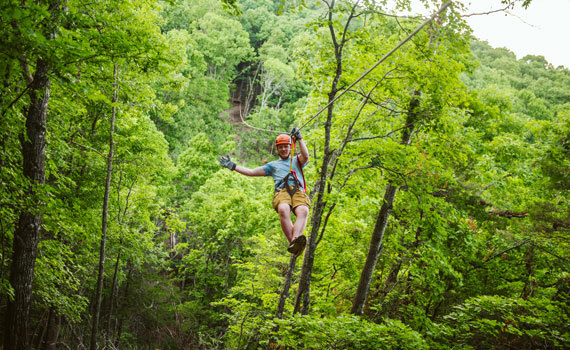 Reservations are required with a 48 hour cancellation notice. Price is per rider.